You arrive at work to discover that the rumors have become a reality. Your company is downsizing and your position is slated to be eliminated. This can cause a rush of emotions from fear to shock and for some, relief. It’s important that as you process the news you focus on planning, not panicking. There are loads of articles that talk about what to do next. They cover important topics such as communicating with family, conducting financial assessments, understanding impacts to insurance, and thinking about next steps in your career. However, I’ve not seen the 5 topics I am going to share being addressed. Having worked with over 1,000 clients in the past 10 years, I find these actions critical to building a strong job search plan and having as smooth a transition as possible. 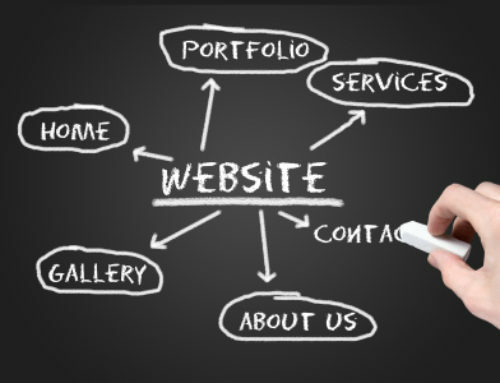 Often, professionals have all their business contacts on their work laptop or mobile device. As soon as you return these devices to your employer, you lose access to files and data. Information needed to reach colleagues, leaders, vendors, and even clients is now out of reach. This maters because these people may be critical in your job search process. Spare yourself this agony. To whatever degree is allowed and ethical within your industry/company, download or transfer contacts to your own personal files to a laptop, device, or cloud space that you own and can access at all time. If you have personal files or contacts on any devices that need to be returned to your employer – transfer these and delete these from any company owned systems. This includes passwords to personal banking accounts, social network log-ins, pictures, etc. Devices are often re-purposed to other individuals in the company and you don’t want anyone else having access to private information or gaining access to accounts using passwords stored on a device or a browser. Take steps to protect yourself. 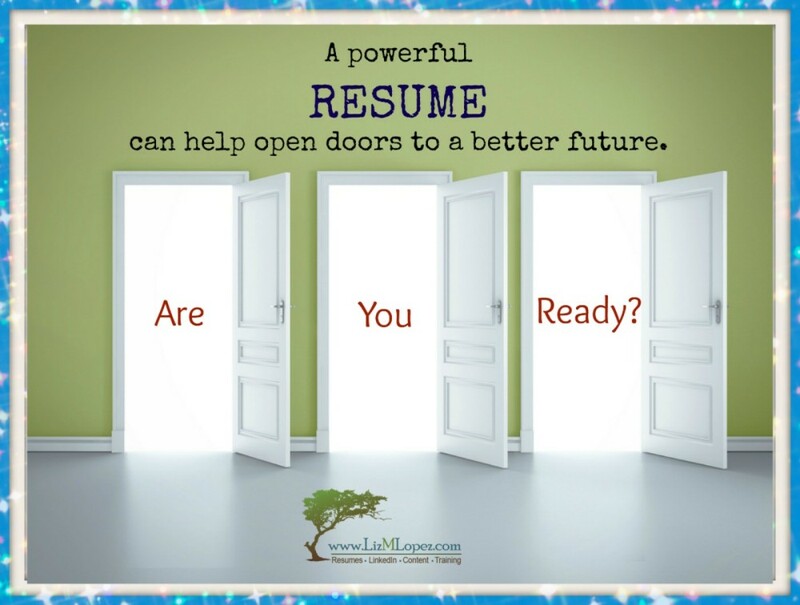 The most important information needed to create a modern and effective resume is documentation of your achievements. It’s challenging (and heart wrenching) when a client needs to recreate 15 years of work history and they no longer have the information needed. Every year a few clients tell me “All my performance evaluations were on my company’s shared drive and I no longer have access.” It’s frustrating for clients to try to recreate years of a stellar career. You think that you will never forget the highlights of your career, but trust me, you will. Especially when you need to match specific achievements to particular roles and time frames. Make sure that you have copies, whether print or digital, of any non-confidential documentation that supports your contributions over the years. If your company did not have a formal evaluation process, take time before the lay-off (while you have access to records and data) to document contributions to: major projects, sales dollars, process improvements, key performance metric results, training completed, commendations from leaders, awards, customer compliments, and more. You want to capture any and all data that can validate your accomplishments and value as a job candidate. 3. What is Linked to Your Work Email Address? Consider all your personal accounts such as travel agents, hotel points, car rental memberships, credit cards, banks, etc. Have you used your work email address as a primary point of contact? Take inventory and make sure you are using a personal email address on all your personal accounts. Do the same for any professional organizations, conferences, business groups, etc. Losing your job is hard enough, do not accidentally get cut-off from your personal and business networks. The top reason professionals lose access to their LinkedIn accounts and valuable connections is that they signed up using their work email address and never added a personal email address as a back-up. Always, always, make sure you have full control and access to the email address, phone number, and any other information on your own social network accounts. And no, it’s not a good solution to just create a new account. Your history, connections, and account maturity will all be lost to you. Plus, on LinkedIn you will show as having multiple accounts in searches which will just confuse potential employers and recruiters. Imagine them sending a job interview notice to your “abandoned” LinkedIn account? If this has already happened to you and you have an older account floating around the LinkedIn universe, use this link to contact a LinkedIn Help Associate and have them guide you through the process of merging your accounts. If you have been using the same work phone number for years and that’s how everyone reaches you, find out if you can transfer the phone number to a personal cell phone account. If you can’t keep the number, make sure you reach out and let everyone in your business and personal networks know how they can get a hold of you. This goes for family, friends, clients, peers, vendors, and all other connections. A good solution is to have business cards made, even while in transition. The card should include your name, all of your contact information, and information about your core skills or target roles. Keep them with you at all times and take advantage of opportunities to share them with others. You can also mail them to colleagues, mentors, family, friends, vendors, clients, and network associates along with a well-written note explaining your transition. Consider getting creative and building your own mini-marketing campaign to make sure others have your contact information. A digital email, a clever card campaign, a small gift for your VIP contacts, etc. Maybe you order personalized pens and share them with your network. Professionals who feel comfortable in their jobs often make the mistake of letting their network go cold. When was the last time you reached out to former colleagues, took a mentor to lunch, or kept in touch with people you met a conference or at an industry event? If you can’t remember, it’s definitely been too long. In my 10 years of supporting professionals and leaders in their job search efforts, it’s been very clear that individuals who nurture their network land better and faster than those who have isolated themselves in their job. Even those with great relationships within their work department are at a disadvantage when the entire department is affected by a reduction in force. If you’ve been active, great! You need a plan to communicate your transition to your network in an effective manner. Sending an email with your resume attached saying “Help me find a job” is considered outrageously tacky in most circles, so be smart about this. On the other hand if your network is stone cold, you need to gradually warm it up. Perhaps you can reach out to a mentor or someone you trust that is well connected. You could say something like: I will be in the job market later this year (or next year) and I realize that I need to improve my networking skills. Since this is a strong point for you, I was wondering if you could share any tips or perhaps point me to organizations where I can meet others and improve my networking abilities. You can start warming your network with family and friends and work your way outward in your circles of influence. Or you can start with strangers. 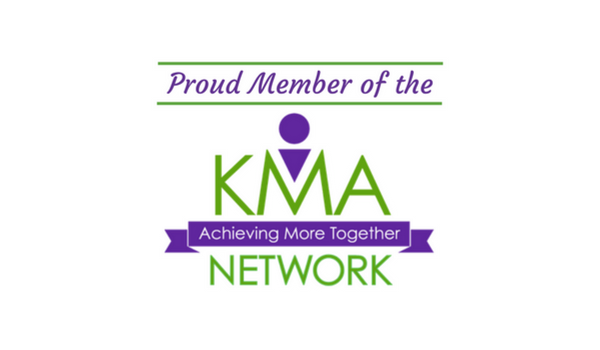 Join a professional organization, reconnect with mentors, or pick up a hobby. What’s important is that you make a plan and take action. Course-correct as needed and understand that networking is about planting seeds and picking the fruit may come much later. Just make sure you stay consistent and pleasantly visible (no stalking HR managers or recruiters!). I know some jobs can feel all consuming, but please understand that your career is much bigger than your current role and it’s up to you to own that. It’s not your employer’s responsibility to keep you groomed, connected, and involved in the business world. While it’s certainly evident that your career is in your hands when you get that lay-off notice, the fact is that your career is always yours to manage. I hope these five tips are helpful. When faced with losing a job, most people frantically think of getting their “resume” out there and these five details get forgotten only to cause a lot of pain afterwards. 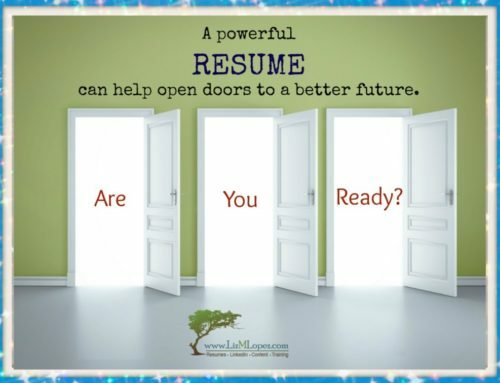 For example: Before a client came to me for a resume overhaul he had sent out dozens with his old work email address. Who knows if he was contacted for an interview? You might think that was silly, but these things happen in the stress of job searching – more often than you think. If you have been notified that your position is being eliminated. Give yourself a set amount of time to process that initial wave of emotion, maybe it’s a day or a weekend. Panic, grieve, shout (preferably in private) and acknowledge what you are feeling…just don’t take any action or make big decisions in that stage. Then make a plan. Find allies. Take care of important information. Nurture your network. And most of all, know that it will be okay. There ARE jobs out there and you will be okay…you may even thrive! 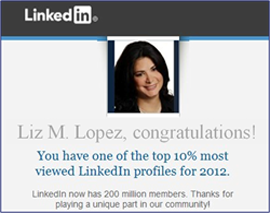 I work exclusively with about 8 professionals per month to develop high-end Resumes, Cover Letters, and LinkedIn profiles. I uncover key skills and achievements to design job search documents that are visually impressive, key-worded to specific industries, and help secure interviews. 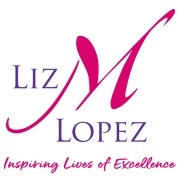 If you are not sure if your resume or LinkedIn profile is representing you as powerfully as possible, please visit https://www.lizmlopez.com/resumereview to book a review. 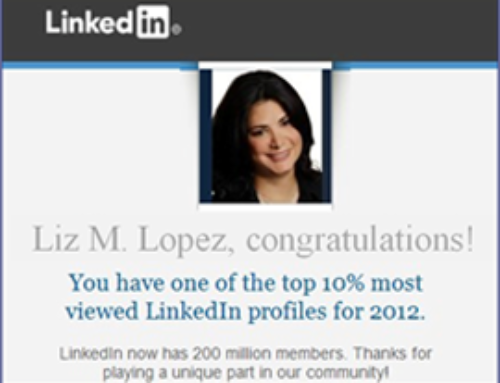 100% Dedicated to Promoting the Success of Others!